The reason why i say its making G-Savior more and more canon is cause the Narative has exposed internal frame parts and has almost the same color scheme as the G-Savior. It doesn't take an Zeonic Company Engineer to figure out that if G-Savior was considered cannon, i'd say the in universe designers looked through some old archives that survived the centuries and found this particular design to be what they were looking for. Granted by that time Newtypes would have been rendered Fairy Tales and i suspect that all traces of the Narative and its kinsmech's Newtyperry would have been either destroyed or lost. 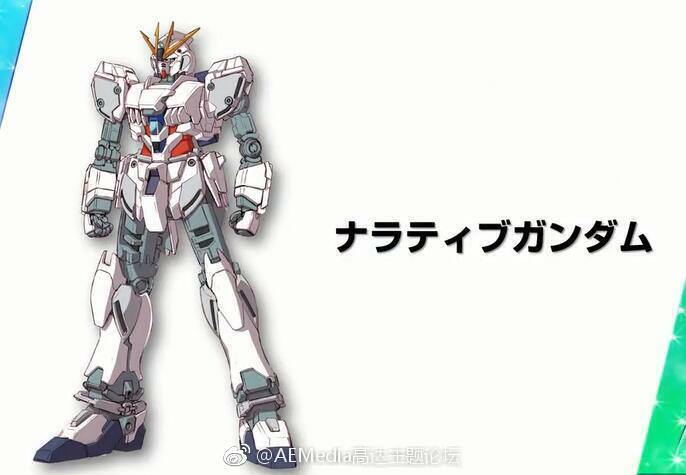 But still this gundam alone is proof that maybe...MAYBE G-Savior is secretly canon. Both can be outfitted with armor configurations, both have some of its internal frame exposed, both have pilots with over-sized helmets, and both have almost identical color schemes. Or maybe they were just lazy and decided to recycle parts of a design, like they did with the rest of the series, and blended nu, and the unicorn. "What do you mean it's OUT OF STOCK/BACK-ORDERED!?!?!" If Newtypes can predict the future, and feel their opponents intentions, how come none of them were ever able to dodge the Bright Slap? These are going to be movies or a series? I watched the 20 minute thing and liked what I saw. But my brain was all is this episode 1 or just a reallllllyyyy long trailer for the movie. I thought they were going to be a 3 part movie, but Bandai does change things on us without notice at times. Either way it looks really cool and I'm jumping on board the band wagon for this one. As for the clip, episode what ever it just gave me a ton of questions that are all of the technical side, not so much characters or story line. What was the purpose for rebuilding the NeoZeong and already having it hanging under a ship? It was destroyed by the Unicorn and the Banshee so even though yes it is powerful it does have a few rather glaring weak points. But I guess they needed a suit for a suit? I'm happy to see it don't get me wrong, but militarily thinking wise, if you have a weapon and it is destroyed in battle. Do you make a new one and just copy the old one? No you make improvements. Better armor, different weapons, different abilities something to improve on the older first version. Granted we have not seen it fully in action fully yet, but the clips we have seen it looks and acts the same as the old one. I do like the MS carrier ships better here though. I like the whole catapult system but rapid deployment of MS is limited and can be slow to react. With the new ships it looks as thou the whole launch bays open so they can launch everything at once, then go on ship defenses faster. This makes for better protection for the carriers, get in drop your load-out and get out faster and let the other warships take over the fighting. This is a better and faster response to a MS attack or defense. It's a movie, it's already in theatres in Japan, the 20 minute preview was just that a preview snippet, they've done similar previews for Origin and other things as well on their youtube channel. I'll try to answer the last few questions with as few spoilers as possible since I've already read synopsis' online of the movie as well as the spoilers from the novel summary. The Banshee was also disassembled by the federation. This Neo Zeong is called the II Neo Zeong (pronounced Second Neo Zeong apparently) as far as I know it's literally as it's name implies another Neo Zeong, don't ask where they got the money or materials to make it (well materials would be easy enough to BS but the making of it no idea) It has some slight armament differences from what I've seen from the Kit. If anything it seems to be improved in some areas, lacking in others but given we're dealing with remnants of remnants of remnants of Zeon at this point it's impressive they even managed to build too, apparently it the basics of it were made around the same time as the first one from what I've heard and it was finished later. The Sinanju stein is still as far as I know a test unit from AE that was stolen this is more or less what FF's Sinanju looked like before they Char'd it. Only they've since retconned in that there were two units and the sleeves got them both, with one going to FF and the other either being Zoltan's this whole time, or was being kept around as a spare and only pressed into action once FF's kinda sort of disengrated at the end of Unicorn episode 7. The story of the Sinanju Stien was covered in in a video game as well as a manga called Gundam Unicorn Bandee Desiniee Episode 0. Dunno how much of that is canon now but the prime minister or what not of the Republic of Zeon who we see Mineva talking to is in it and it kind of sheds some light on Full Frontal and the project to make him, the Republic's Involvement in it and the taking of the Sinanju stein which was an inside deal. I assume most of it could still apply just with there being a second unit stolen at the same time now It's also written by the main Author of all the Unicorn and Narrative stuff so I assume the general gist of it still applies. Only the first volume is translated. And the light of enlightenment was shone upon us this glorious day! Thanks for some of that clarification, without spoilers. I don't play video games so I miss a bunch that they only mention in some of the games. It's all good, I will how ever look for that manga. Thanks. The idea of exploring what the wars between Earth and the Colonies did to those who were born with New Type abilities once it became clear that they were the most critical weapon needed to win the war, more critical than any sort of mobile suit they could build. Both sides of the conflict became utterly inhumane to such people, holding them hostage, experimenting on them and to whatever degree making them puppets so they would have no more free will or really just life of their own. However, clearly the writers are ultimately stuck in a rut, so the evil is just yet again some random Zeon remnant terrorists like it has been the last dozen times. How could there possibly even be any remnants left after Gundam Unicorn? And both the protagonists and antagonists are just piloting the exact same overly-designed mecha from Gundam Unicorn, just color-shifted with even more random junk strapped all over them so that they can sell basically the exact same plastic kits again with only the most minor alterations to the design. It really is a disgrace that it seems like the cheaply-made Gundam toy show aimed at little kids is showing more creativity in both its storytelling and its designs than the expensive high-quality animation show that is aimed at adults. This is why in this franchise that will be celebrating its 40th year next April, the most beloved characters, mecha designs and story all came from the original series-- a series that was, admittedly, kind of shoddily made, was really not as planned out as it should have been (and had its ending rushed due to cancelation) and had plenty of flaws in its story-telling. As inconsistent the quality of various Gundam series have been over the years when trying new angles or things, they at least deserve the credit for at least trying new things. But this? First Unicorn and now this is just looping Gundam ZZ over and over and over again because there isn't enough creativity left in those at the helm of the franchise to try anything remotely new. In the first 24 days of screening in 90 Japanese cinemas, the feature film "Gundam Narrative" has raked over 500 million Yen, for 350,000 spectators! The results were unveiled by Sunrise, announcing a public meeting with the fans to be held next January 11th the Gundam NT 'UC Special Stage Greetings. Not half bad for what was originally an anthology novel thrown together just after the final OVA released. 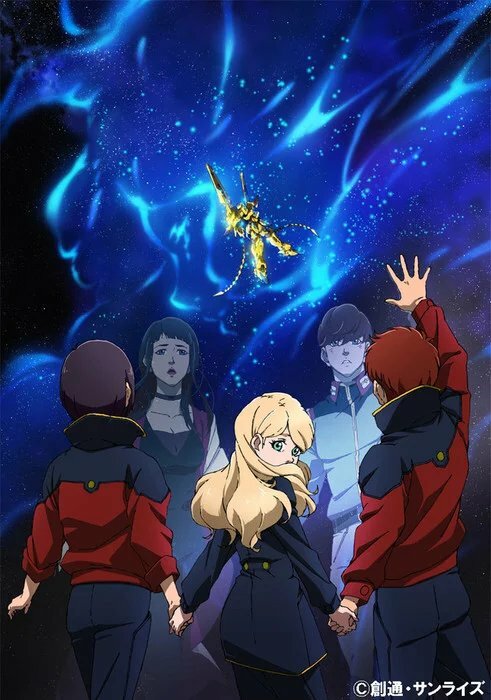 So it looks a select few theaters in the US (about 450) are going to be showcasing the premiere of the English dub of Gundam NT: https://www.gundamkitscollection.com...across-us.html. No idea what theaters they are going to be, but I suspect, based on previous experiences, that it they are going to be small art house theaters. If any could provide a list, that would much appreciated. Nothing close to me, I'm afraid. There's an AMC showing it about an hour and a half away, but that ain't worth the drive. And uncidentally, there's an AMC minutes me that will be showing Narrative. Actually, there are quite a few in my area that will be showcasing Narrative. Amc and Regal are playing it near me. There are two near me that are showing it. Already bought my ticket for it as well.